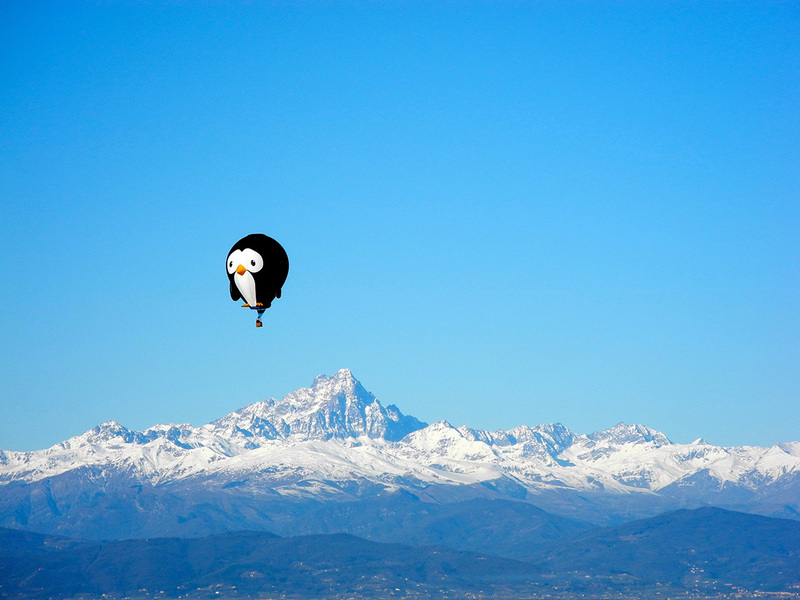 Puddles the Penguin has won his first major trophy, while making his continental debut, at the Epiphany Balloon Festival in Italy! 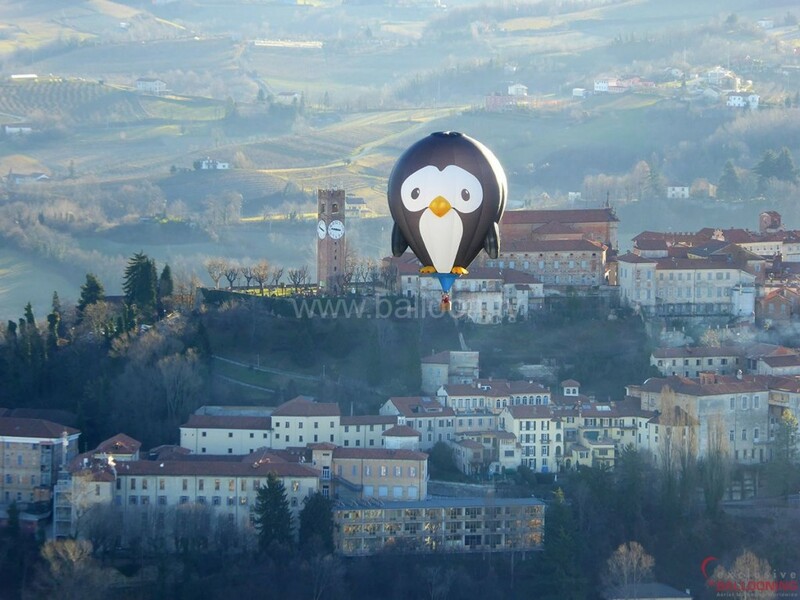 This event is a very important date in the ballooning calendar with some famous flying over the beautiful Italian buildings of Mondovi in the shadows of the Italian and French Alps. Flying is over four days but the most anticipated flight took place on the first morning, where the competition task was to place a marker at the foot of the old clock tower near the Piazza in the old town. Possibly one of the most challenging tasks in ballooning. Pilot Andrew Holly has won this task in a previous year, however this is the first time that a special shape hot air balloon has given it a try. Puddles made light work of this, flying directly towards the tower and alongside the target. As the current British National Champion, Andrew put his skills and experience to expert use and threw his marker, scoring just 63cm from the centre of the target. The winner receives the beautiful Trofeo Mondovi Piazza. 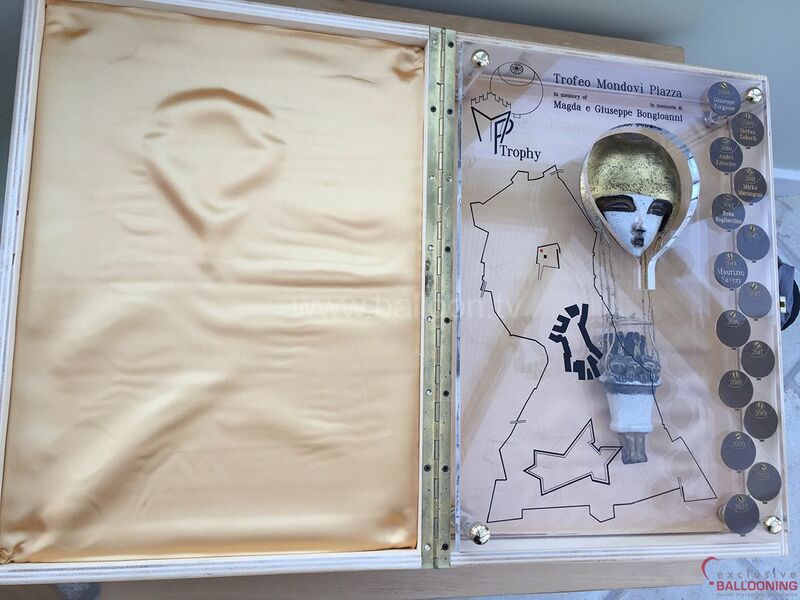 The trophy was made by local artist Edmondo Bongioanni who is also the country’s hot air ballooning chief observer and the trophy was designed and made in memory of his parents who were both high school teachers in Mondovi. The trophy was first awarded in 2008 and the first person to win it three times will be the permanent keeper of it. With Andrew now the only pilot to have won it twice, you can expect to see Puddles back in 2016!